Synology announces the global launch of the RackStation RS1619xs+ and DiskStation DS1819+. The Synology DiskStation DS1819+, an 8-bay desktop NAS providing outstanding performance with great expandability, ready to grow as your business thrives. On the other hand, the RackStation RS1619xs+ is a 1U 4-bay rackmount NAS featuring flexible storage scalability and M.2 SSD support, is designed to deal with IO-intensive tasks for growing businesses. 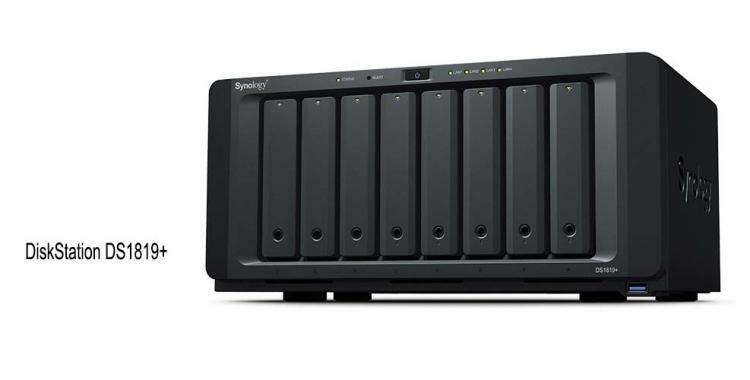 The Synology RS1619xs+ is a high-performance and scalable 1U rackmount NAS designed with upgradable memory and M.2 SSD cache configuration to meet the needs of modern businesses that require a flexible, reliable, and efficient storage solution. Equipped with a PCIe 3.0 slot, RS1619xs+ supports installing a 10GbE/25GbE NIC for fast data transmission. Built-in M.2 2280 SSD cache slots further benefit IO-intensive tasks, such as virtualization or mail server deployment. Comes with Synology's 5-year limited warranty. 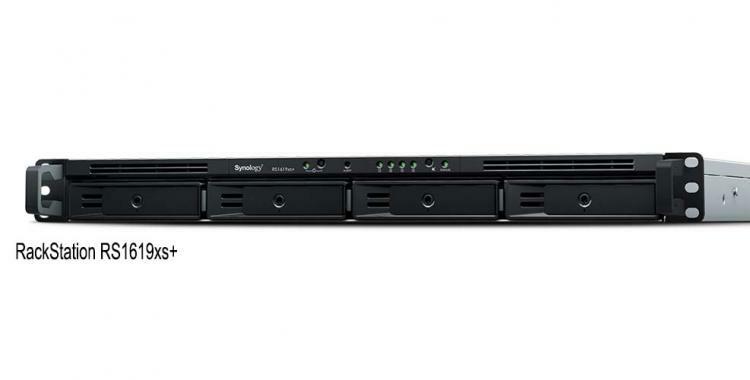 Learn more about the RackStation RS1619xs+ here. The Synology DS1819+ is a high-performance and scalable 8-bay desktop storage for small and medium-sized businesses. As the successor of DS1817+, DS1819+ delivers over 57% performance escalation in sequential reading, makes it an ideal server for file sharing and data backup. With upgradable memory, scalable storage, and one PCIe expansion slot for installing an optional add-on card, DS1819+ can easily fulfil almost every mid-scale business application with its configuration flexibility. Backed by Synology 3-year limited warranty, and can be extended to 5-year via the Extended Warranty License Pack (EW201). Learn more about the DiskStation DS1819+ here. Both the RackStation RS1619xs+ and DiskStation DS1819+ are now available with an MSRP of £1,610 (ex VAT) and £761.80 (ex VAT) respectively.